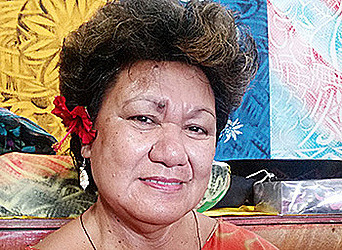 There has been a mixed reaction to the decision by the Cabinet to cut the salary of Prime Minister Tuilaepa Dr. Sa’ilele Malielegaoi from $187,500 to $182,070. There was a split among members of the public on whether the Prime Minister deserved to get a pay cut or should have been paid more. Some members of the public praised his contribution to the success of Samoa as a nation, while others decried the level of poverty in the country and said the decision to cut his salary was proper. The decision by the Government to tax church minister’s alofas also came under scrutiny with members of the public arguing that the salary cut was justified due the Prime Minister taking on the churches through his Government’s tax policy. Here are some views by members of the public on the issue. I fully support the decision on cutting the salary of our Prime Minister. The reason being is that our people have suffered enough under their administration. He already has a lot of money, but he has gone so far to tax pastors. He should be more concerned about raising the wages of our local people, who are struggling to earn a living for their families. Our country is in so much debt but who is to blame for that? Who is in charge of making those decisions? Who will take up the responsibility of those debts? I will tell you who will suffer from that, it is the future generations of our country, our children and their kids. I think that he deserves a pay cut but it would be better if he stepped down from office. I agree with the Prime Minister’s pay cut due to reasons that he should help his people more often. At the moment, so many have been affected by all these taxes that they have imposed. Even those that are struggling with just small businesses to try and help caring for their families, but it has gotten to the extent of taxing our own pastors. They are known to be representatives of God on earth to spread his word. I just wish our Prime Minister could focus more on the people of the country he is looking after, instead of focusing on those big buildings which he calls developments, but the people that put him in office are living in poverty. I think that the Prime Minister should contribute through his pay cut because we are all contributing for the benefit of our nation. It makes it worse with the high cost of living in Samoa and then not getting paid enough to sustain family expenses and caring for members of their families. It really is a struggle, you see not many people are fortunate to have that amount of money and so just $5,000 deducted well many families do not have access to even a thousand, so I think that it is deserving for our prime minister to have a pay cut. I do not agree with our Prime Minister getting a pay cut. In my own opinion he has worked so hard for so many years to make Samoa a better country in terms of its development. Our country is more advanced compared to other Pacific Islands. There are great improvements of roads and accessibility through transportation. I have high respect for him and so that sort of treatment of him is unfair in my eyes. I think that his willing to go through that was out of his love for his people and help them in any way he can. I disagree with the decision to cut the Prime Minister’s salary. He has done such significant works to make Samoa a better country. Just because he is the Prime Minister does not mean he has a lot of money. His contributions to our country through so many things not many people are aware of that. His salary is the value of the work that he has done or he is equipped to do, running a country not many people can do that job.